ARB Truck and Bus Rule – This is the 2008 California Statewide Truck and Bus Rule that was established by the California Air Resources Board (CARB). Its specific requirements for reducing diesel emissions require affected heavy trucks and buses to be retrofitted, repowered or replaced in order to reduce particulate matter emissions by at least 85%. ARB In-Use Off-Road Diesel Vehicle Regulation – This regulation was adopted by the California Air Resources Board in 2007 to reduce diesel particulate matter and oxides of nitrogen (NOx) emissions from existing (i.e. “in use”) off-road heavy-duty diesel vehicles used in construction, mining and industrial operations within the state. ARB Heavy-Duty (Tractor-Trailer) Greenhouse Gas Regulation – Requires heavy-duty tractors that pull 53-foot or longer box-type trailers within California to reduce greenhouse gas emissions by improving their fuel efficiency. Tractors and trailers subject to this regulation must use either EPA SmartWay-certified tractors and trailers or retrofit their existing fleet with SmartWay-verified technologies. ARB Statewide Portable Equipment Registration Program (PERP) – A registration program that enables owners or operators of portable engines and certain other types of equipment to operate their equipment throughout California without having to obtain individual permits from local air districts. ARB Transport Refrigeration Unit (TRU) ATCM – This is the California Air Resource Board’s diesel emissions control regulations for Transport Refrigeration Units (TRUs). 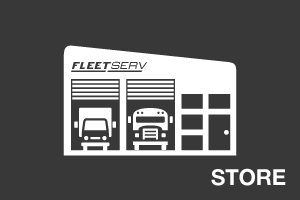 TRUs are diesel-powered refrigeration systems used in the transport of perishable products. (COMING SOON) ARB In-Use Off-Road Mobile Agricultural Equipment Regulation – ThisTBD regulation will be designed to reduce emissions from existing (i.e. “in use”) self-propelled off-road mobile agricultural equipment. ARB Periodic Smoke Inspection Program (PSIP) – A diesel vehicle inspection program designed to reduce excessive smoke emissions from heavy-duty diesel trucks and buses. Affected vehicles must have and pass an annual smoke opacity test. 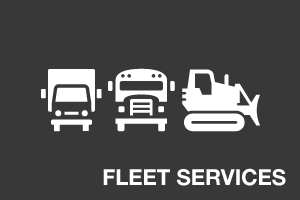 ARB Fleet Rule for Public Agencies and Utilities – Mandates that Public Agency and utility vehicle owners apply Best Available Control Technology (BACT) to reduce diesel particulate matter emissions from their affected vehicles by specified implementation dates. Biennial Inspection of Terminals (BIT) Program – A California state program mandating periodic fleet terminal and vehicle inspections, to ensure that fleet owners proactively maintain their vehicles in good working order. Department of Transportation (DOT) Annual Inspection Program – A Federal Motor Carrier Safety Administration program mandating annual inspections of every commercial motor vehicle, to ensure that these vehicles are maintained in safe working order. EPA SmartWay – A collaboration between the EPA and the freight transportation industry that helps fleet operators reduce emissions, improve fuel efficiency and save money. 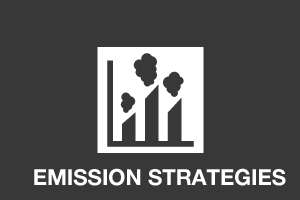 These are some of the most common terms and acronyms regarding diesel emissions compliance. APU (Auxiliary Power Unit): Provides power to a truck’s sleeper compartment, eliminating the need for the driver to idle the car all night when the vehicle is not on the road. CCV (Closed Crankcase Ventilation): Prevents emissions and oil from escaping from the engine crankcase during idling or driving, and improves the passenger compartment air quality. DEF (Diesel Exhaust Fluid): DEF is a solution of urea and de-ionized water that is used to neutralize NOx emissions from the exhaust stream of diesel vehicles and equipment that have Selective Catalytic Reduction (SCR) systems. DFH (Direct Fired Heater): DFHs eliminate the need to idle a truck or bus in cold climates by blowing hot air into the cabin or bus, thereby maintaining a comfortable cabin temperature. 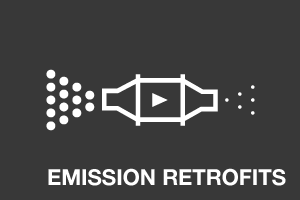 DOC (Diesel Oxidation Catalyst): An emission control device that utilizes a chemical process to remove particulate matter from the exhaust gas of a diesel engine. 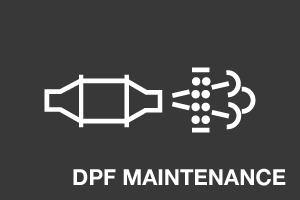 DPF (Diesel Particulate Filter): An emission control device that utilizes a filter system to remove particulate matter from the exhaust gas of a diesel engine. FOH (Fuel Operated Heater): A device that eliminates the need to idle a truck in cold climates by providing heat to both the cab and the engine block. 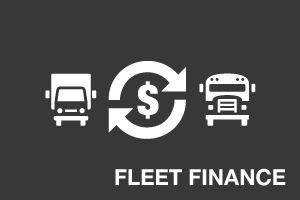 SmartWay: A collaboration between the EPA and the freight transportation industry that helps fleet operators reduce emissions, improve fuel efficiency and save money.